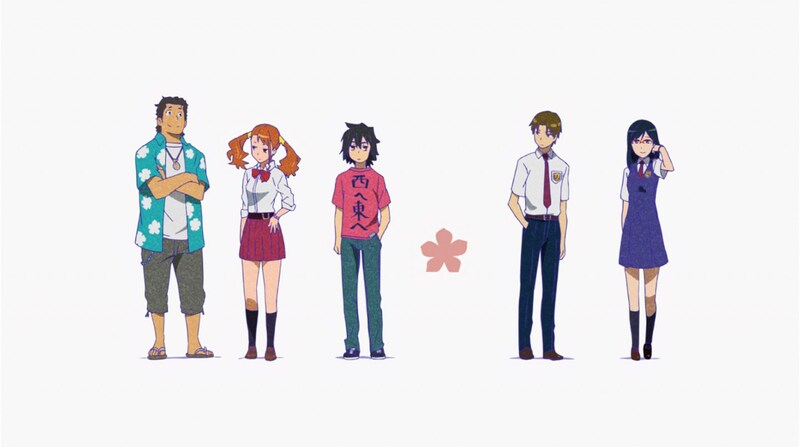 In short, Ano Hana. 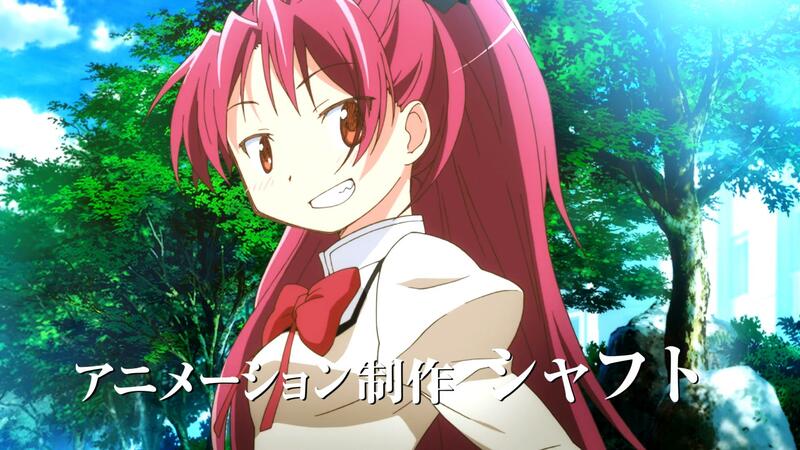 Is an 11 episode TV Anime aired in 2011. To be more specific, from April 14, 2011 to June 23, 2011. An anime movie was also released on August 31, 2013 serving as final summary and also an epilogue to the TV series. 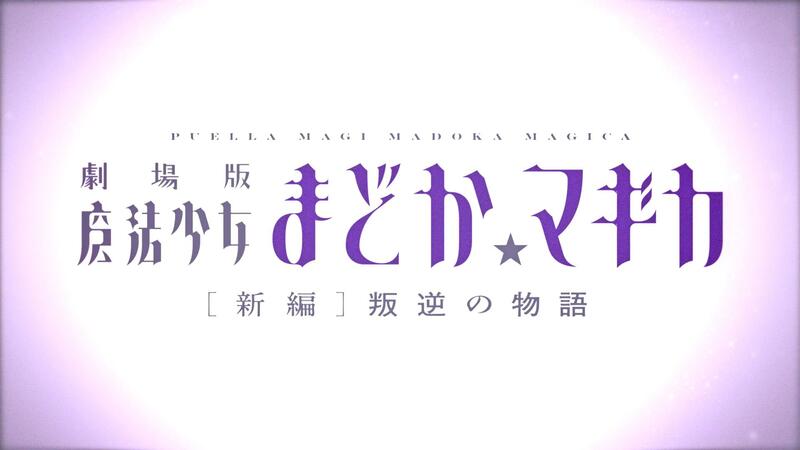 The story is written by Okada Mari. From the deepest part of heart, it’s a masterpiece-class story, meaning the story is truly impressive, truly amazing, truly awesome, and truly wonderful. Excellent is not enough to describe how great the story. It’s so deep. Impressed my heart almost in the same level as Natsuiro Kiseki. 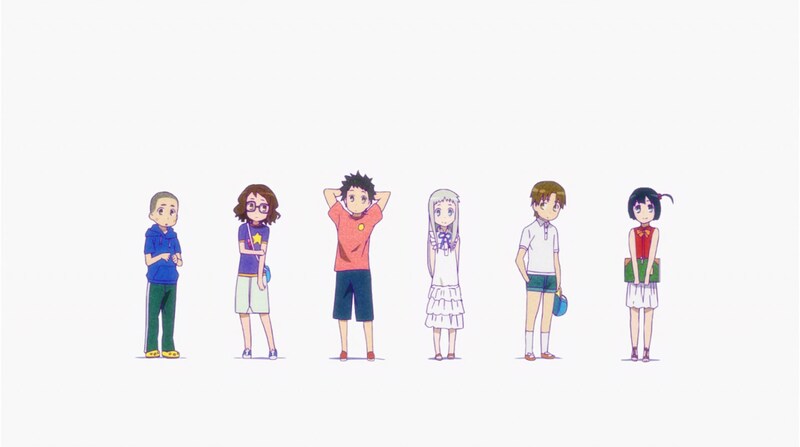 From all anime I’ve ever watched, Ano Hana has the second best story. My review here covers both the TV series and the movie. 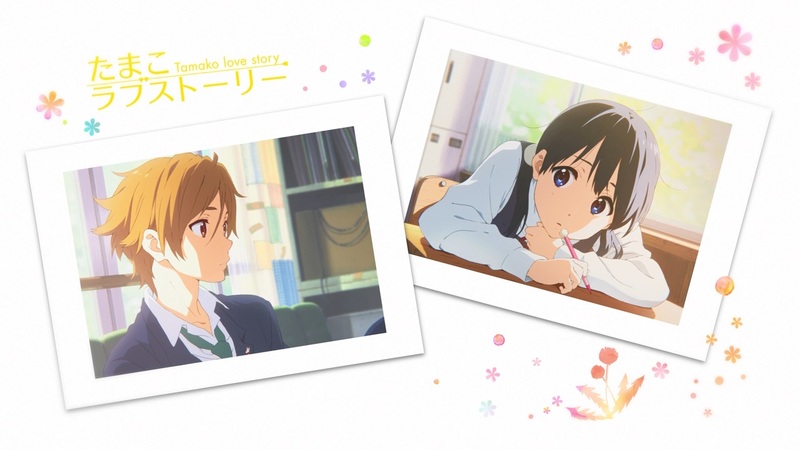 Tamako love Story is the sequel of Tamako Market and seems to be the ending of the series. The title clearly revealed the genre of the story itself, a love story. By the time I write this post, October 25, 2014, I’ve just finished watching the Bluray movie. But hey, I didn’t say this movie is totally terrible. In fact, I like every aspect in this movie (besides the storyline which I hardly understand). This movie was designed professionally with no doubt. I can feel everything looks very good and excellent (again, except the storyline). The BGM is very good, if not, better than that. The image quality is excellent. The detail of the background is very crisp, looks like a photo taken with professional camera with Super 35 Sensor and tuned with some professional post processing (it sounds silly, I know). You often find artistic and confusing background as well most of the time. 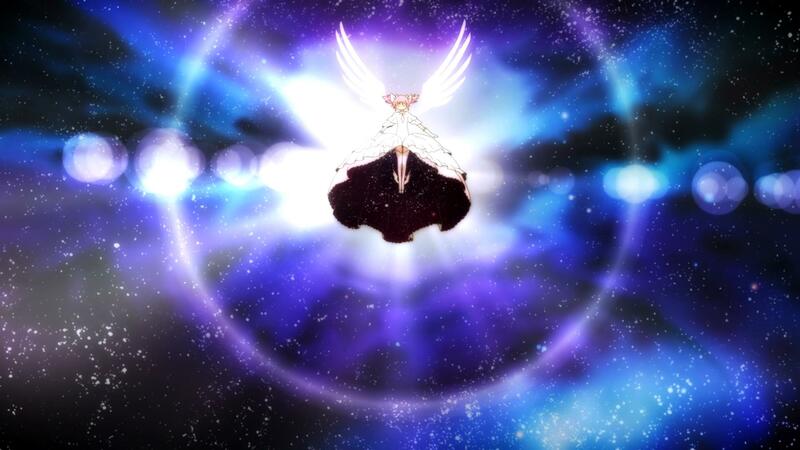 That just how Madoka Magica is. Another strong point is the character design. I always like Aoki Ume’s art! Thanks to Hidamari Sketch, of course. 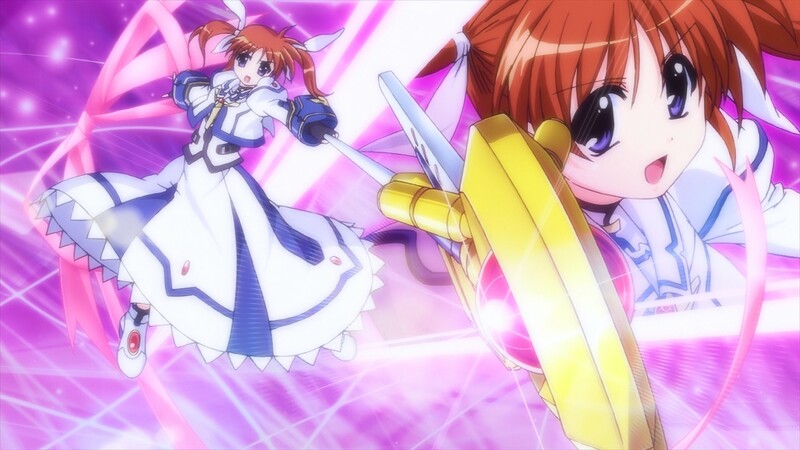 Magical Girl Lyrical Nanoha was based on Triangle Heart Series, especially Triangle Heart 3 ~Sweet Songs Forever~. 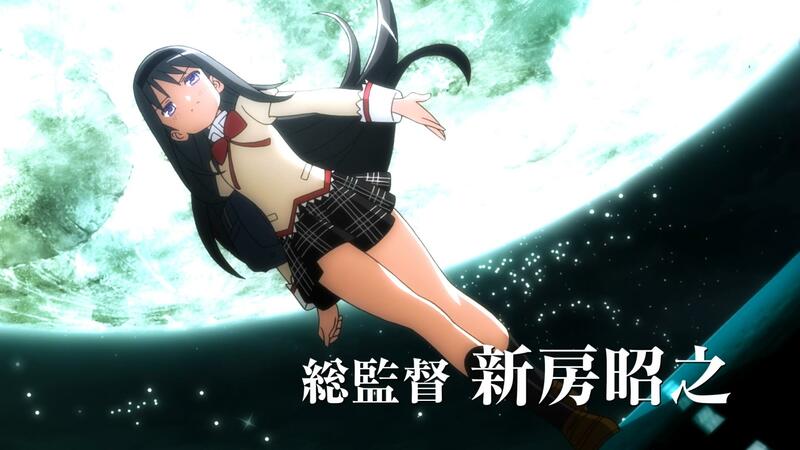 However, when it comes to anime (TV Series), the concept of the story was totally different than the original concept. The Movies are based on the TV Series with slight improvement. I think a lot of people like the anime. 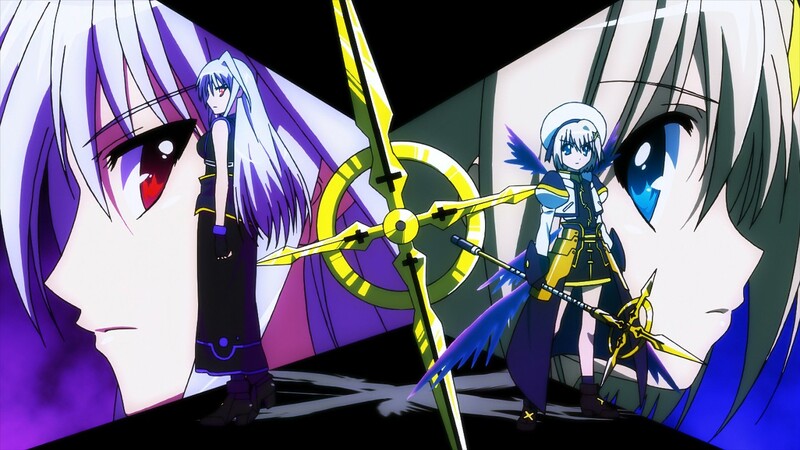 I don’t really it was because they like Triangle Heart or totally new Mahou Shoujo Lyrical Nanoha universe. Me and a friend whom introduced me to the anime did not know the original concept. Just found the first episode of the TV Series interesting and than watch the rest episodes. 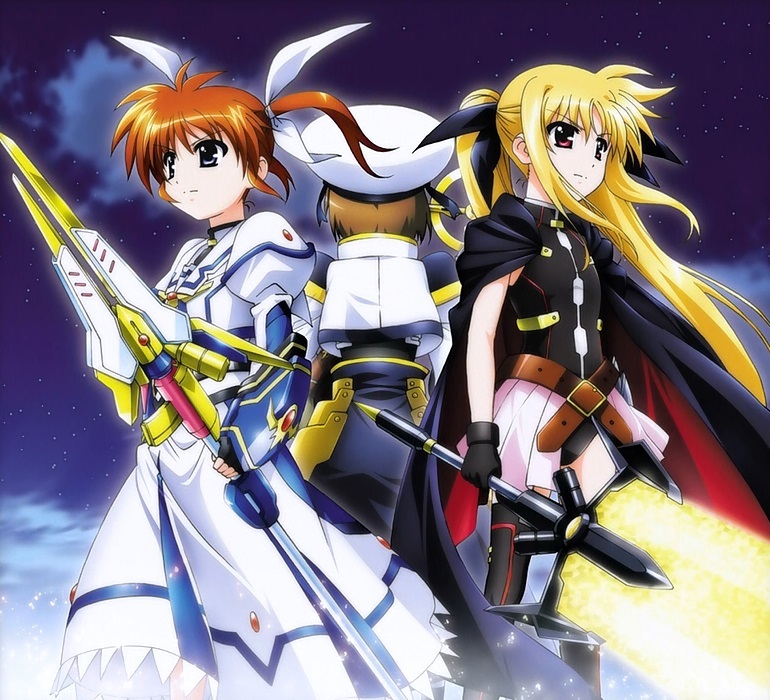 However, when I finally know about Triangle Heart, I try to dig the original concept of the Mahou Shoujo Lyrical Nanoha universe by playing Mahou Shoujo Lyrical Nanoha PC Game which is part of Triangle Heart 3 Lyrical Omocha Hako released in 2001. Later I also played Triangle Heart 3 ~Sweet Songs Forever~. And seriously, both are fantastic! 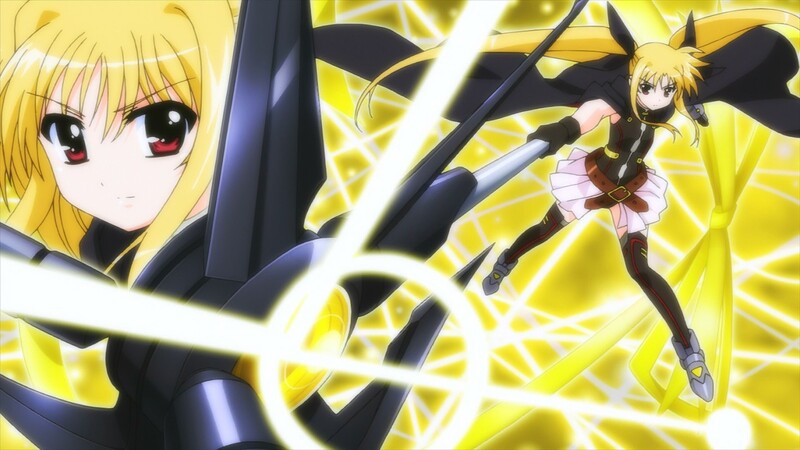 Have a very deep story and impression and makes disappointed with the All 3 Mahou Shoujo Lyrical Nanoha TV Series. But how about the Movie? Well, I am here to talk about the 2nd movie and not the TV Series or the game. Let’s get to the topic. The story takes place 6 months after the first movie. Pretty much the same with A’s TV Series. The characters are also the same with some role disappeared. But no big deal. It’s actually makes the story more focus and clear for me. Yagami Hayate becomes the Master of The Book of Darkness. The enemies are Wolkenritter, the guardian knights of The Book of Darkness. And the final boss is Nachtwal, the automatic defense system of The Book of Darkness. Those who already watched A’s TV Series will simply know the story. I wouldn’t talk much about the detail. But the story in the movie is overhauled and I like the story in this Movie more than the story in A’s TV Series. The impression is much deeper in this Movie. The Graphic Quality is one of the best you can get in 2012 anime. I personally found the computer graphic quite awesome! The duel scene is pretty much improved! The duel scene in this anime is really awesome! The magics, effects, environments, etcetera, etcetera are very well designed! Oh yeah, the design of the devices are also new. Musics and Sounds are amazing. The Original Soundtracks are very nice and pretty much match the situations. 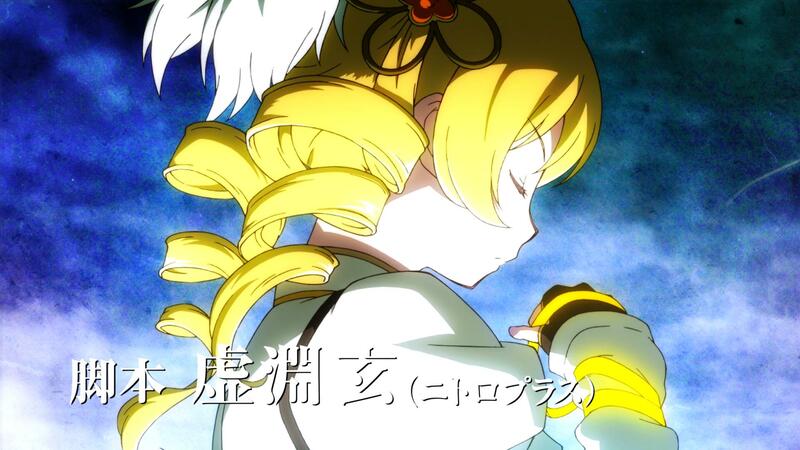 The ending theme is BRIGHT STREAM by Mizuki Nana. There are also 3 insert songs, Snow Rain ~Ver. Holy Night~ by Ueda Kana, Sacred Force by Mizuki Nana, and Hohoemi no Puruumaju by Tamura Yukari. 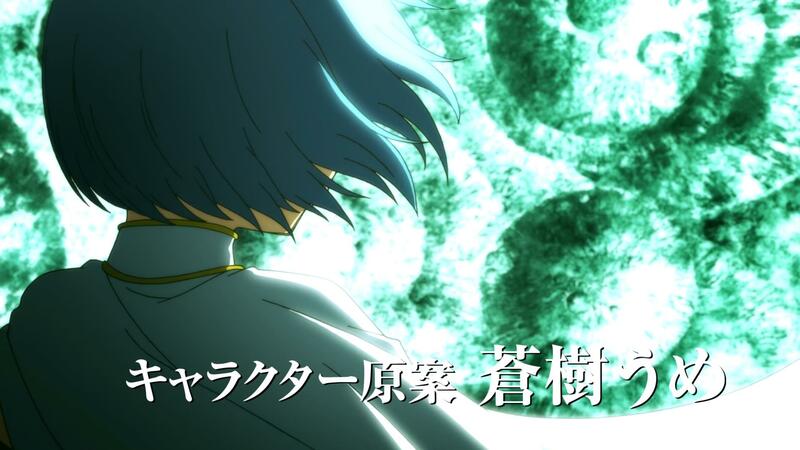 The insert songs are very well positioned and really boost the impression of the scene. Compared to the original A’s TV Series, the movie is a step forward in story, 3 steps forward in graphics, and a step forward in sounds and musics. I personally found this movie exciting and enjoy it. There are several non sense though but I think I’ll just let it go.. Just let the creators play with their imagination. Most story in anime and manga are very far from reality. And most of the makes no sense at all. This Movie is no exception but it’s still very enjoyable.